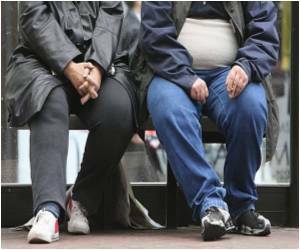 Houston has been ranked as fattest city in the US, with 34 percent of its population being overweight. Houston was also ranked number one for fast food by Men's Fitness magazine, with more than 1,000 fast food joints across the city to choose from, Xinhua cited an ABC report as saying. Detroit, Cleveland, Memphis, and Tampa were the other US cities making the top five. Some of the reasons as to why Houston has become the country's fattest were the summer heat and long commutes to work, "which keep people in the city on their bums", the report said. Houston is also the fourth most populous city in the country, trailing only New York, Los Angeles and Chicago. In 2010, it had a population of 2.1 million, according to the US Census Bureau.